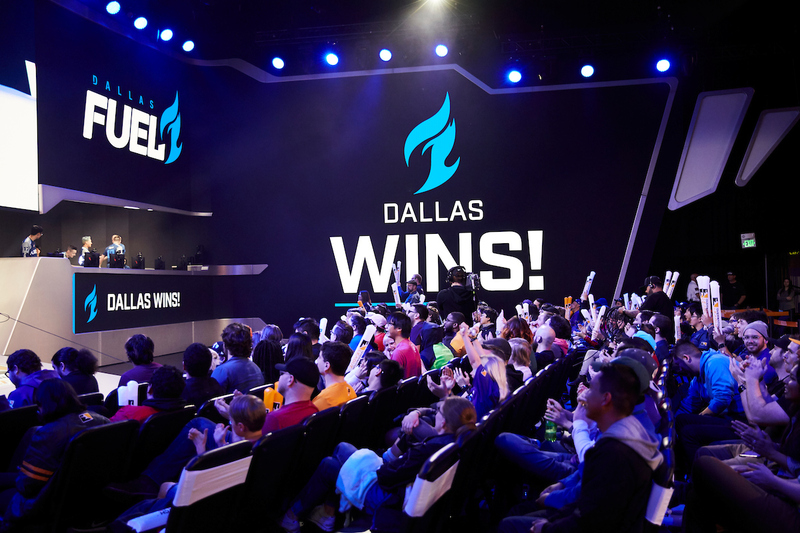 Dallas Fuel’s Ultimate Weekend has set a high standard for the future of home games. Dallas Fuel’s Ultimate Weekend has set a high bar for the future of Overwatch League home games by selling out the Allen Event Center in Dallas, Texas just over a week before the event begins. The Ultimate Weekend will look a little different from your average Overwatch League weekend. For starters, only eight teams will play at the event, and each team will play twice over the course of two days. The event is set to feature a festival-like atmosphere, including a cosplay contest and a live musical performance by electronic dance artist Karma Fields. As the test subject for the future of Overwatch League home games, the Ultimate Weekend has succeeded in its ticket sales with over 4,500 tickets sold. This number dwarfs the usual attendance at the league’s home arena of the Blizzard Arena, which sits around 500 people. Last month, commissioner Nate Nanzer confirmed the Overwatch League would be heading to teams’ home cities by the following year. In this new structure, teams will be responsible for venues, weekend scheduling, and ticket sales. The league will travel around the world in a tour-like schedule, where all teams from one country will host their games consecutively to help better accommodate for player rests. Two more home games are still on the horizon for season two before the new format kicks off in 2020. Atlanta Reign and Los Angeles Valiant will host their own homestand weekends from their home cities in the final weeks of stages three and four, respectively—although the two teams will have a high bar to meet if the Ultimate Weekend continues to find success when its games begin.